Assigned to the 5th Air Force, 35th Fighter Group, 39th Fighter Squadron. Nose number 37. This aircraft was assigned to 1st Lt. John Dunbar who nicknamed it "Dumbo! ", his nickname in the squadron with the Walt Disney cartoon character Dumbo painted on the side of the nose, with a pink elephant running trailling nuts and bolts in a cloud of dust. This aircraft flew combat missions over New Guinea. 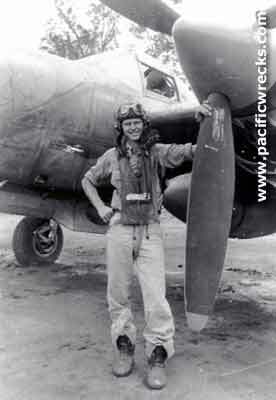 On September 2, 1943 took off piloted by Lt. Hamilton Laing on a mission. Low on gas and with one propeller out, this aircraft force landed at Terapo Airfield. Pilot unhurt in the crash. The wreck was rediscovered in 1980 and reported to Bruce Hoy at the PNG Museum. Two trips were made to the wreck on May 24 and June 7, 1980. 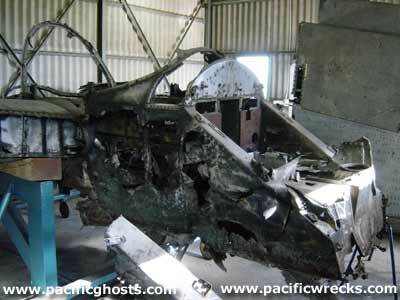 On June 13, 1980 the nose section was recovered by the Royal Australian Air Force (RAAF) for the PNG Museum and transported to Port Moresby. 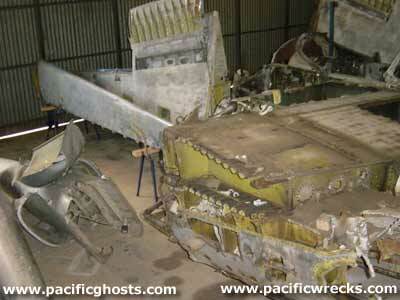 Later, this nose section was attached to the nose of P-38F Lightning 42-12647 on display at the museum. Later, Bruce Hoy visited John Dunbar in the United States and presented a gun blast tube from the wreck to him. During 2002, the rest of the aircraft was salvaged by Robert Greinert / HARS and exported to Sydney and stored in a hanger at Bankstown Airfield until 2004. Then, moved to Precision Aerospace, where it is stored outdoors. According to Greinert, he recovered it "for use in future restorations". 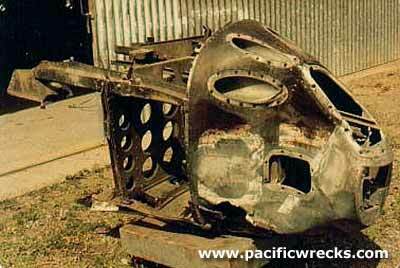 Reportedly, this wreckage is now owned by Gerald Yagen. 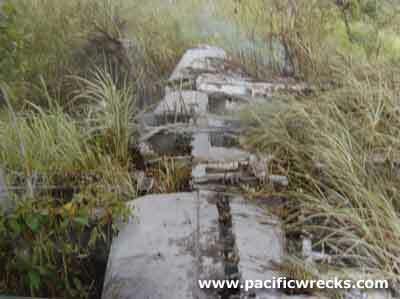 World War II and Post War Aircraft Wreckage in Territory of Papua and New Guinea and Dutch New Guinea , appendix, Other Known Wreckage - Lightning 42-12847 - alongside [Terapo] airstrip"